$35.00 | 75 ml / 2.5 fl. oz. What do your hands say about you? Hopefully they match your youthful self! If not, you’re not alone as the hand tends to age due quicker due to exposure to the sun and other environmental stresses including the drying process of chemicals/soaps we come in contact with every day. 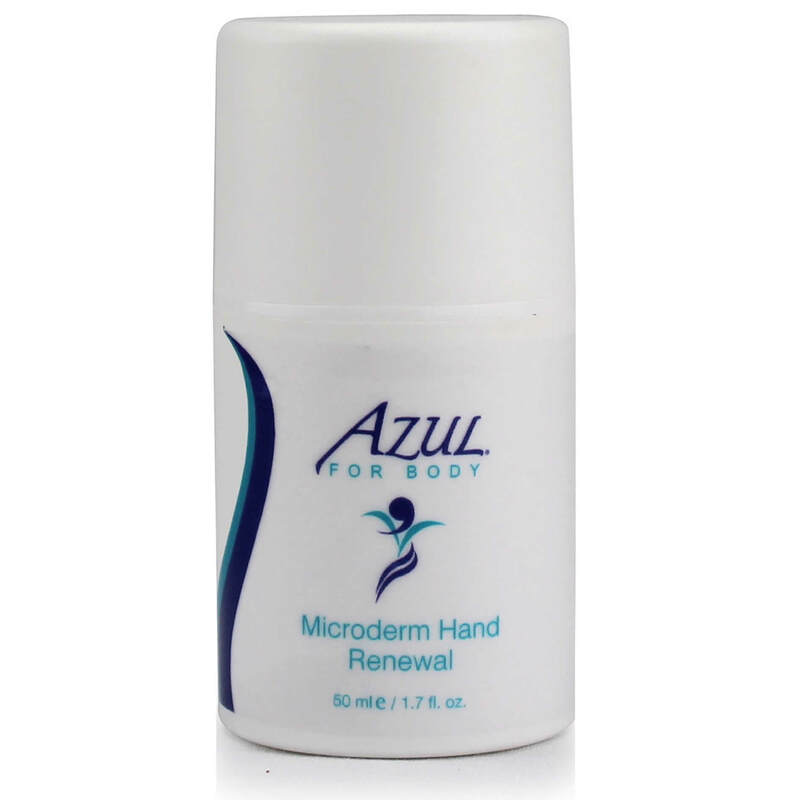 Azul’s Corrective Daily Hand Cream helps to erase the signs of aging hands and turn back the clock. Formulated with Brightenyl and Kojic Acid it fights production of melanin (which results in those awful brown spots) from 9 different pathways. With a variety of other advanced ingredients, it also increases collagen production in the hands and provides antioxidant properties to protect and repair DNA damage caused by the sun. Perfect for any skin type, it only needs to be applied once or twice daily as a corrective treatment. This product is also a perfect companion to our Azul Advanced Sunscreens, helping to protect your hands from further sun damage. Our Corrective Daily Hand Cream works best when used after the Microderm Hand Renewal. Kojic Acid – Inhibits melanin production by inhibiting tyrosinase, provides gradual and continual skin lightening to relieve skin discolorations. Brightenyl – (Diglucosyl Gallic Acid)- Restores even skin tone by blocking the melanogenesis process at several levels and by protecting the skin and preventing its inflammation. 4x times more potent than vitamin C, 60x more efficient than kojic acid. Visible results after only 28 days. Vitamin C – antioxidant, strengthens collagen, assists in lightening, provides anti-wrinkle effects, smoothes skin texture. Coenzyme Q10 – also known as ubiquinone. Powerful antioxidant protection and boosts collagen production. Important role in cellular respiration and detoxifies waste in cells. Vitamin E – Antioxidant that protects from oxidative stress, sooths inflammation and boosts collagen production. How do I use the Corrective Hand Lotion? Apply to backs of hands once to twice daily. If using twice daily, apply sunscreen on top of the Corrective Daily treatment in the morning to ward off future damage. The Daily Corrective Hand Cream is vey moisturizing, I did not realize how dry my hands were until I used this product. It is great for using throughout the day!